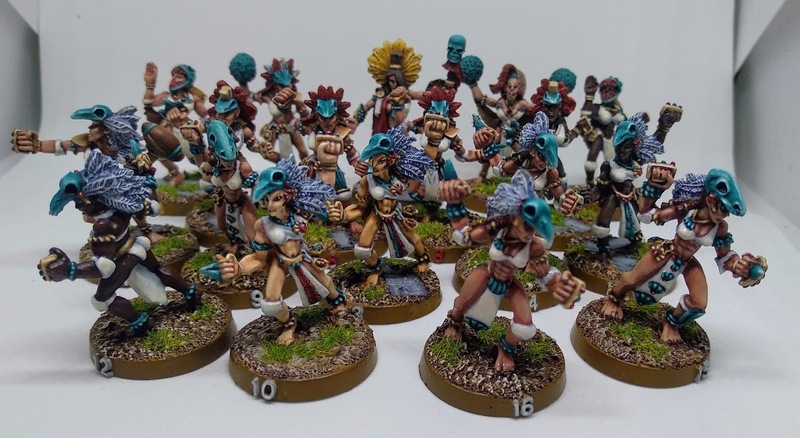 I’m honestly not a huge fan of the classic GW Amazons, but this might be the best I’ve seen them painted! I particularly like the helmets. These are great, especially the eyes. I doff my cap! Yeah I echo the other guys – these are great! Thanks for the kind comments. 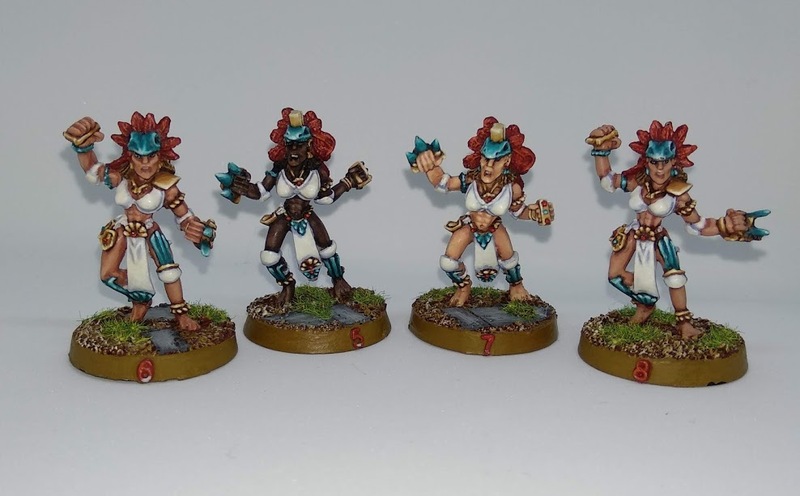 I painted this team quite a while ago, possibly almost 10 years so I’d like to think my skills have improved since. However, lots of firsts for me here in terms of different skin tones, trying to get a good looking white and nmm gold (ish). I even took a trip to the British Museum to look at some Aztec artefacts and help guide the colours. 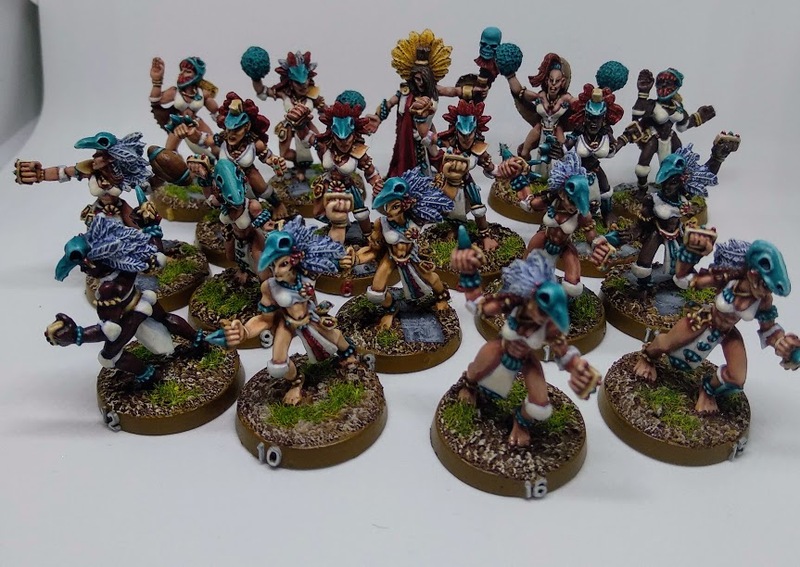 Probably my most used and most travelled team (having played tournaments in three countries – the US, UK and Netherlands) the Jade Raptors have served me well (except for those awful dice during World Cup II…). 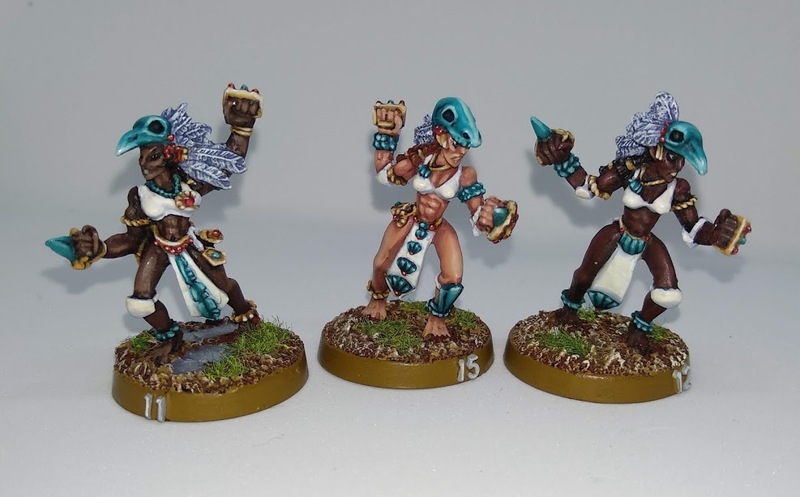 GW Amazon figures with a bit of an experiment on different skin tones.